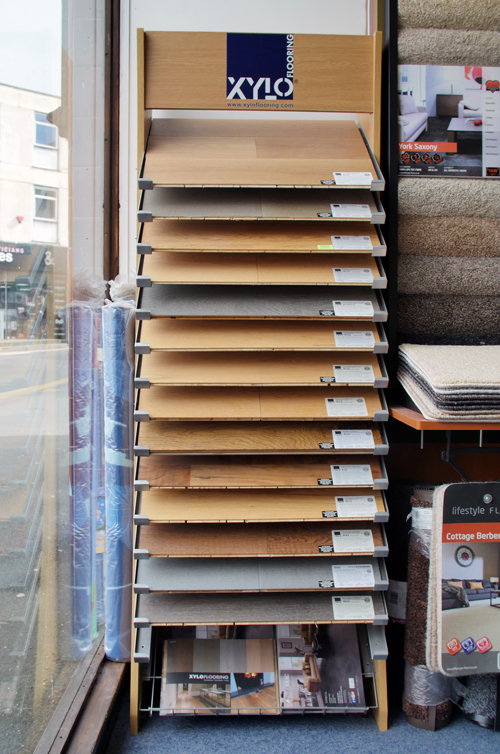 We can supply and fit hardboard/ply wood if you require it. This is used for uneven floors so that a more even finish is achieved. We can supply and install screed which is a smooth self-levelling compound used on concrete floors where deviations are found to ensure a smoother and even finish when laying a product over the top. A winner of many flooring awards, Karndean is a rapidly expanding LVT company with a wide range of styles and prices from budget to designer. Their budget range, Knight Tile, have recently expanded their designs to include distressed wide plank woods and 12” x 18” tiles. The popular Van Gogh Grandewood range now has 22 woods in a wide plank size with an authentic textured surface and their latest success is the beautiful Oak Royale Range also in wider planks which is also available in a parquet design. 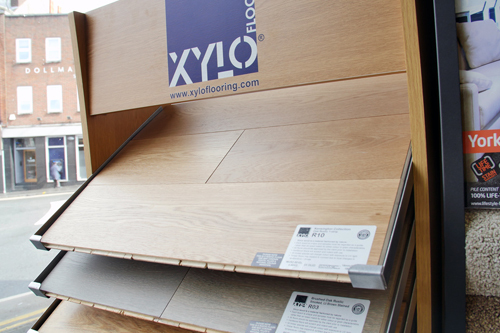 As with Amtico, Karndean can be used over underfloor heating. Wood is a natural product and a constant favourite in modern and traditional homes. It offers a wonderful diversity of tones, colours and grades, is warm and tactile and works well in living rooms, bedrooms, and hallways and, accompanied by rugs, is a practical flooring choice. Certain woods can be used kitchens and bathrooms although alternatives such as Amtico, Karndean and sheet vinyls are often preferred. Being a natural product there will be variations in the colour and shade of the planks and it is not always possible to obtain an exact colour match between different production batches which have the same colour description. Wood is susceptible to dimensional changes due to moisture and humidity and each installation needs to be professionally assessed, the floor acclimatised before installation commences and should be fitted by an experienced wood floor layer. Oak tends to be the most popular wood flooring in this country because it is naturally stable, indigenous and tends to suit our interiors. Darker finishes on oak are a current favourite rather than other dark woods but at the other extreme, paler, distressed grey and white shades complement minimal Scandinavian style. Each board is made from a single piece of timber, usually with a tongue and groove joint on the ends as well as the long sides. Inherently durable, they stand up well in heavy traffic areas and are a long-lasting option since the surface can be sanded and refinished as required. Not always suitable for use with underfloor heating. These floors offer added stability and a greater variety of design. They are usually constructed in 3 layers, using the chosen species as a top wear layer, a high density fibreboard core and a base board. The top layer can vary from 0.6mm to 6mm depending on the product and governs how many times the floor can be sanded. This type of wood can be used with underfloor heating. These are made from HDF board coated with a decorative wood grain foil beneath a transparent but hard wearing melamine surface. It is less expensive to buy and fit than either solid or engineered wood and good quality laminates will have a realistic appearance. Select Grade – considerable grain and colour variation to provide a characterfull look – only small knots allowed. Contains up to 10% sapwood. Rustic Grade – considerable grain and colour variation, large knots, some filled, dark streaks and filled cracks. Up to 10% sapwood. Extra Rustic Grade – Large knots, filled and unfilled, splits, cracks and sapwood. Aged and Distressed, Sawn – Each plank is hand distressed, producing a roughened surface. Then subjected to a series of caustic processes that include smoking and the application of oils and stains prior to finishing.